Balancing fertility treatments with your career can be challenging. Here's your guide to getting it all done (and done well). If you're undergoing IVF and you work full-time, chances are you've already been mysteriously disappearing for fertility clinic visits for a while. But IVF requires much more of your time and energy, in addition to careful planning so you can keep up at work while maintaining your privacy (if you wish). Learn nine crucial tips to tackling one of your life's biggest undertakings—while staying on your A game in the office. 1. Understand your IVF timeline. Before you begin, you'll be given a calendar of exactly when to come in for your scans and blood draws, as well as what medications you'll need to take when. However, this handy document doesn't tell the full story. Depending on how you respond to the medications, your egg retrieval will take place within a window of dates. Unfortunately, you won't know the exact day until the process is well underway. Once the eggs are retrieved, if any embryos result, you'll return three to five days later for implantation, followed by possible bed rest as prescribed by your clinic. So, while you'll have a general idea of when things will happen, you may not know exactly when until several days before. 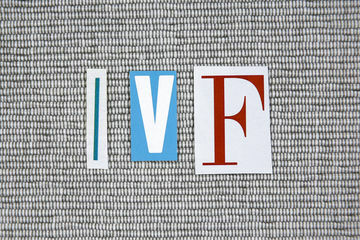 Check out a sample IVF schedule for more details. 2. Block off more time than you need. Because your egg retrieval and embryo transfer days are moving targets and will require you to rest and recoup, consider blocking out the entire range of possible dates so you don't have to worry about rescheduling anything pressing at work. This approach also allows you to explain your absence as a vacation, if you're most comfortable with that. Clinics generally try to schedule scans so workday disruption is minimized, but you may need to tweak your calendar so you can attend your appointments without feeling rushed. Consider shifting recurring meetings that may interfere with scans, and be open to staying late or bringing work home as needed. It's only temporary! 4. Keep your contact info up to date. Your nurse and you will be in regular contact throughout the process. Post-appointments, she'll call with instructions on how to adjust your medication, your blood-draw results, and more. Make it easy for your clinic to get a hold of you and leave messages in case you're in meetings. "Be sure your name and phone number are current in your chart. Have voice mail set up and identify yourself on the message," advises Sheila Rees, RN at Mid-Iowa Fertility in Clive, Iowa. Privacy laws require your name in order for your nurse to leave a detailed message. You'll want to make sure your nurse can give results via voice mail instead of requiring a call back. 5. Be as up front with your supervisor as possible. There's no one-size-fits-all when it comes to discussing IVF with your boss. If you can't imagine telling her you're about to undergo IVF, you're under no obligation to do so. You can mask your time away as illness or vacation, guilt-free. However, those regular scans and draws may be difficult to hide, especially if you work in close proximity. If you have a solid, friendly relationship with your supervisor, consider telling her about your journey. Chances are she knows someone who's had a similar struggle and will empathize and accommodate your needs. However, discussing your situation ahead of time means she'll likely be interested in your results, so you'll need a plan for informing her whether or not your procedure was successful. If you do become pregnant and wait until the end of your first trimester to announce, it can make for an awkward few weeks. Ultimately, let your gut be your guide when it comes to what to divulge and when. Those pencil skirts may need a push to the back of the closet. Injections and subsequent possible ovarian hyperstimulation syndrome (OHSS) can lead to serious bloating and weight gain (even the gorgeous Maria Menunos added a few pounds post-egg retrieval). Purchase some looser clothing (think: leggings and tunics) that will keep you comfortable. Shop our favorite maternity leggings that you can totally wear whether you're pregnant or not. 7. Get ahead of the game. If you can't easily delegate your tasks (who can?! ), put in extra time up front so you won't be frantically checking emails or trying to work while you're away. Egg retrieval, which requires sedation, will leave you feeling foggy and sore the rest of the day and perhaps into the next. Embryo transfer is usually painless, but depending on your clinic's recommendation, you may need to take bed rest for a couple of days. 8. Beware of Dr. Google. If you sit in front of a computer all day, it can be tempting to search for the cause behind every abdominal pinch and pull. Before you know it, hours have passed, you've maxed out the number of tabs your browser will allow, and you're more confused than when you started. Rees offers a simple solution: "Avoid researching on the Internet—just call the office with any questions," she says. "There are a lot of misleading sites and chat rooms out there that can cause more stress than comfort." 9. Take a deep breath and hang in there! Odds are you've already been through a lot on your path to parenthood, and this next hurdle can be especially intimidating. Do your best to manage stress (we like Circle and Bloom's IVF/IUI Mind-Body Program for a daily dose of relaxation); try acupuncture; reach out to friends, family, and your spouse for help; and don't be afraid to take extra time for yourself (plus, check out 4 hilariously relatable IVF moments that just might make you smile).